I'm going to make everything around me beautiful. That will be my life. ​Nicole had helped me before at my home and now she is helping me design my spa in lower downtown. It's a fun creative project and I know that she has the eye for what will make my spa a place that everyone feels relaxed and renewed. Pictures to follow. I love her work and energy. Nicole was wonderful! She helped me create the Living Room I have always dreamed about. After going through 3 sofas in the past 10 years, which just did not work, she helped us find the perfect size, color and fit for our home. By incorporating some of our existing favorite pieces we were able to design a room that showed our personality and stayed within our budget. Her suggestions gave the room that extra special touch. Nicole even used some of my pottery to make it a one of a kind room. Nicole provided design consulting services for us through Ethan Allen. Her energy is infectious and she seemed very excited to work with us on a modern project. We liked that she was open to the fact that while we would be purchasing pieces from Ethan Allen, we would be purchasing some pieces elsewhere and was willing to incorporate those pieces into the design as well. Nicole was very patient with us as we had trouble finding fabric for pillows and curtains within our budget and she several times pulled together sets of candidate swatches. She was very communicative with us about the status of our order and then made sure to come to our house on the delivery day to make sure everything was correct. We recommend Nicole as a designer and salesperson for her honesty, energy and enthusiasm. Nicole has helped me take my apartment from drab to fab many times. She is knowledgeable, thinks outside of the box and really understands how to turn your vision into reality. After 20 years in one Colorado home we decided to move to Flying Horse. Because of the style of our new house we decided to completely change our furniture style and decorating colors. This is when Nicole came into our lives. She has been successfully guiding us through this process - a process that is easier said than done, at least for us. With Nicole's help we have furnished a family room, eating nook, had dining room chairs reupholstered, and added a desk, a chair and bedding to the bedroom. Nicole has been so patient and has been able to make excellent decorating recommendations on every level and has gently kept us on track for our new style - Upscale Colorado. She is a very positive, enthusiastic person which makes her fun to work with. We are very pleased with the process and results of our journey and highly recommend Nicole Hammond for any decorating project you are thinking about. From planning the scope, to checking final results, Nicole was very organized and thorough. The project had a very tight budget in order to accomplish many things. The primary goal was refurnishing a very large family room with special requirements, complete with furniture and window coverings. Because of coming in under budget on this room, additional elements could be added in other parts of the house. Very helpful in proposing alternatives to come in under budget, as well as getting a dynamic look. Took time to ensure details were covered, and took time to double check everything. The results were fantastic. Respectful of user's likes and dislikes, which did not bother her in the least. It was a lucky day when I found Nicole Hammond. I was feeling like I needed to modernize my interior decor a bit, but just didn't know what to do. I was struggling with what colors to paint my walls; wondering how to display my eclectic art collection; feeling unsure about what decor is working and what isn't...just a general feeling of being overwhelmed. During our first meeting, Nicole listened to my wants, my concerns, my confusion...she really got to know me. Nicole worked with me to find the perfect colors for my interior - colors that I loved but would also showcase my art. Then we looked at each piece of art and she helped me position them perfectly on the walls, furniture and book cases. Nicole also worked to get the lighting just right and my furniture positioned in new ways I'd hadn't thought of. Nicole's talent at as decorator goes far beyond her technical talent, which is amazing, but she takes the time to truly understand her clients. In the end, I now enjoy a home that provides me with a sense of calmness and peace. Each room is an expression of who I am and the sort of environment I am proud to call home. I know I could not have made that happen without Nicole Hammond! 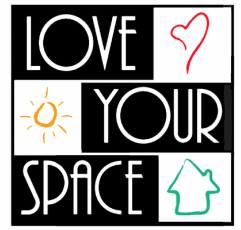 Share your experience of working with Love Your Space.